This year I’ve decided to finally try Inktober! I’m the kind of person who’s highly motivated by challenge-type events, so it’s surprising that I haven’t tried it yet. October is considered arts month, at least in the Pikes Peak region, but nationally too? This was news to me last year, but hey, why not? Inktober – a play on Ink and October – was started by a guy named Jake Parker. He began doing Inktober in 2009 to practice his inking skills and the art challenge took off. Today Inktober is massive – just do a Google or hashtag search. And several prompt lists that people have created on their own. Since it’s October, there are a lot of Halloween-themed lists. The internet is also full of art prompt generators, so having no ideas is no excuse. Elaborate Example: Your picture is set in the ruined parts of a city and involves two of these three elements: a corset, a deep sense of history, or cool weapons. Maybe I’m biased since I’m saving my intense creative focus for Nanowrimo, but don’t stress if you miss a day or two. Or ten. The creator of Inktober even suggests making a smaller commitment if a drawing a day is too much. You could complete a drawing every other day, or even once a week if that’s more manageable for you. The cool thing about taking part in a worldwide challenge is the community. You might feel like you’re holed up in your room, madly scribbling away, but in reality, you’re part of a giant community all scribbling away together. 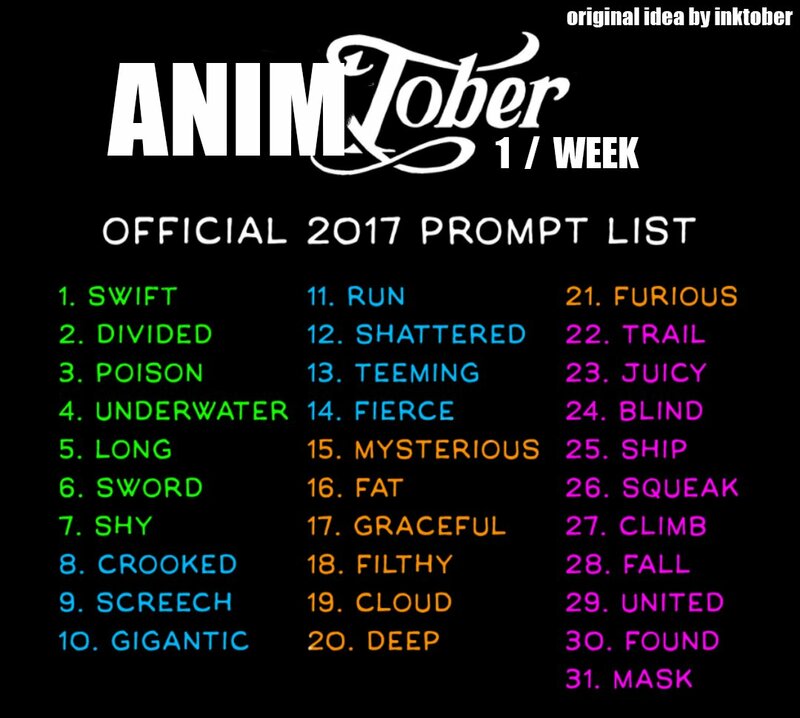 Search for other Inktober artists on social media using #inktober, #inktober2017, or other hashtags that are too hip for me to know about. I’m a fan of trying new media when you’re stuck. And just because it’s Inktober doesn’t mean you’re stuck to one type of medium. There are tons of different types of ink, from a simple ballpoint pen to a Sumi-e ink painting with a brush. So if you’re feeling stuck or uninspired, don’t forget there are still ways to switch it up and stay true to the INKtober namesake. Maybe you have your month all planned out. Or you’ve decided to follow a theme (like me). But if you find yourself wanting to do something else instead, go for it! The point of Inktober is to encourage creativity. That might mean simply creating more art – even arbitrary deadlines help us be more productive – or practicing specific skills. Sure, follow your plan, but be open to change and giving yourself the freedom to do what you want! Good luck to everyone out there doing Inktober. You can follow along with my Inktober drawings on my Instagram account, monicartsy.